KJIPUKTUK (Halifax) – It happens quite often, and it causes serious hardship. 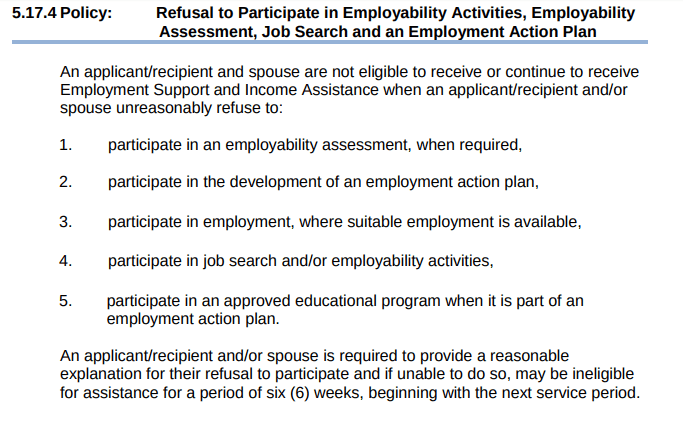 People on social assistance get cut off from receiving benefits, typically for a period of six weeks, for not participating in what the policy manual calls employability activities, things like missing an appointment or not showing up for a training course. For six long weeks social assistance recipients then have to fend for themselves, relying on food banks, churches, kind friends, or sometimes just going without. Children, spouses, entire families suffer for the perceived misdeeds of a so called head of the family. A freedom of information request we filed suggests it happens frequently. The Department of Community Services (DCS) handed out 465 suspensions last year, 177 of these affected a spouse and or children as well. This year there were 125 cases (up to mid-September), 53 of which affected entire families. Kate (not her real name) was one of the hundreds of people each year who get hit with a six-week suspension. Kate held a low paying job while on social assistance but through no fault of her own she had to quit, and Community Services wasn’t happy about it. There is a bizarre twist to the story. Kate got suspended for leaving a job Community Services never told her to get in the first place. One of Kate’s children has severe disabilities and there was no expectation that she find work. Kate got a job anyway. When you work while on social assistance and you are able bodied you are allowed to keep $150 per month. Not a lot, but every bit helps. When her son became seriously ill and daycare couldn’t take him anymore Kate had no choice but to quit her job. She only found out that her benefits were cut off for six weeks when the cheque didn’t arrive at the normal time, she says. “At the time I didn’t have a case worker, so when I called in because I didn’t get my cheque at the end of the month I talked to a Community Services worker,” says Kate. As luck would have it, Kate had an effective advocate in her corner. That advocate wrote a letter on Kate’s behalf, and in a week Kate was reinstated. A punishment that fits the crime? Try to imagine for a minute what it means to be cut off social assistance for six weeks. Imagine trying to survive on no money at all. Six long weeks without money for food and the necessities of life. That’s harsh, no matter what you did wrong. This is the policy. These are the crimes. It’s especially harsh if that infraction isn’t even your fault. If the head of a family is cut off from receiving benefits, the spouse and the kids suffer, even though they did nothing wrong. As we reported earlier, in May of this year lawyers argued at the Nova Scotia Court of Appeal that these suspensions affecting innocent family members are contrary to the Charter and international agreements Canada and Nova Scotia have signed off on. 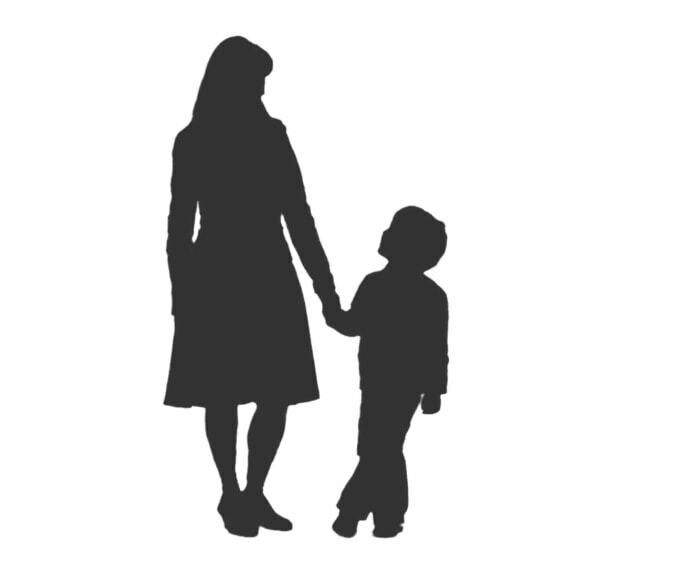 It’s unjust to punish children and a spouse because of the failures of the person who receives the social assistance cheque, lawyers of Nova Scotia Legal Aid and the Women’s Legal Education and Action Fund (LEAF) argued. After all, neither the children nor the mother had any control over the events that lead to the suspension. Already disadvantaged because of poverty they are further marginalized because of their gender. We’re waiting for the decision. Social assistance as icing on the cake? “In situations where there is no explanation or reason for an individual’s non-attendance, suspension of benefits is the last resort. It is not undertaken lightly,” writes Heather Fairbairn, speaking on behalf of Community Services. And anyways, people may be cut off from benefits for six weeks, but that isn’t as bad as it sounds, Community Services suggests, because they have other sources of income. “Benefits are also intended to be combined with other forms of income support people already receive, such as the Canada Child Benefit, the Nova Scotia Child Benefit, the Affordable Living Tax Credit, GST payments and income from employment,” writes Heather Fairbairn, spokesperson for the department. People on social assistance would not agree. Not only would many people not qualify for these income supports, it also suggests that social assistance benefits are somehow icing on the cake, rather than central to the survival of vulnerable people. In 2014 I wrote about Vicki, an elderly woman who was rushed to the hospital when she could no longer afford her diabetes medication after a similar six-week suspension. She almost died. Horrible! Not to mention discriminatory– basically you’re punished for working.